The Central medical library has over half a million book funds and serial publications, provides electronic access to databases and multimedia products. Hospital “Knyaz Alexander I” – today Alexander’s Hospital. The image is on a postcard from the late nineteenth century from the collection of the Museum of History in Sofia. The law establishing the Medical Faculty of Sofia University was passed by the 17th National Assembly on November 10, 1917. By decree №21 of His Majesty, King Ferdinand entered into force and is recorded in the government’s White Paper on 22.11.1917g. Pre-Clinical Training Center of the Faculty of Medicine. (Former First Male High School on 2, Danube Street). 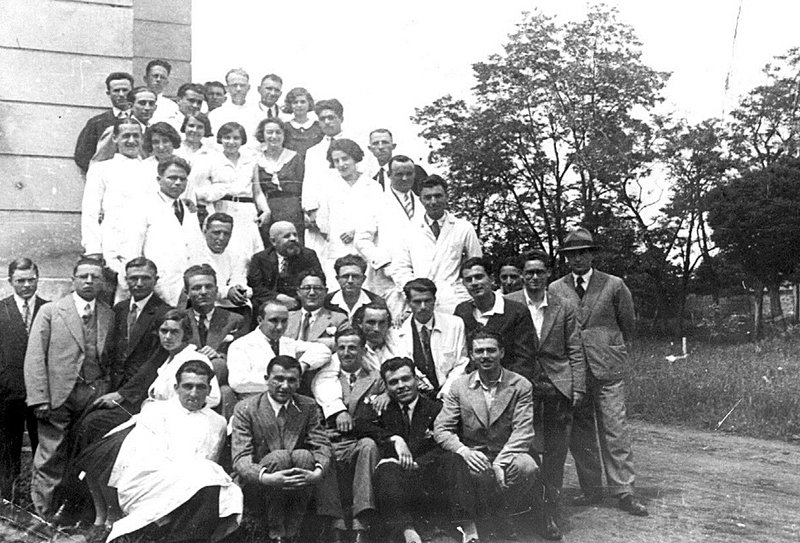 The first lecture at the Faculty or medicine was held on April 10, 1918. The official opening was attended by the Minister of Education and members of the Supreme Medical Council. Professor G. Shishkov read the first lecture on zoology, and the second is from Al.Hristov, professor of physics. In 1929 and in 1930 the faculty awarded the Doctor Honoris Cause titles to Dr. Moulines and Dr. Marin Rusev. Over time, the Bulgarian scientific medical schools, led by prominent scientists with international authority, were created. Their names are still highly valued by Bulgarian medicine. Among them are Prof. Metodi Popov (Department of Biology), Prof. Vladimir Markov (Department of Microbiology), Prof. Assen Hadzhiolov (Department of Histology and Embryology), Prof. Vasil Mollov, Prof. Stoyan Kirkovich, Prof. Vladimir Aleksiev (Department Internal Diseases), Prof. Konstantin Pashev (Department of Ophthalmology), Prof. Bogomil Beron (Department of Dermatology) and Prof. Stoyan Belinov (Department of Otorhinolaryngology). The amendment to the Law on Higher Education adopted in 1946 raises the number of departments from 12 to 31. By a decree of the National Assembly, the Medical Faculty is separated from the university and becomes a part of the Medical Academy. In 1950, according to Decree No 246 of the Presidium of the National Assembly, a Medical Academy was established. 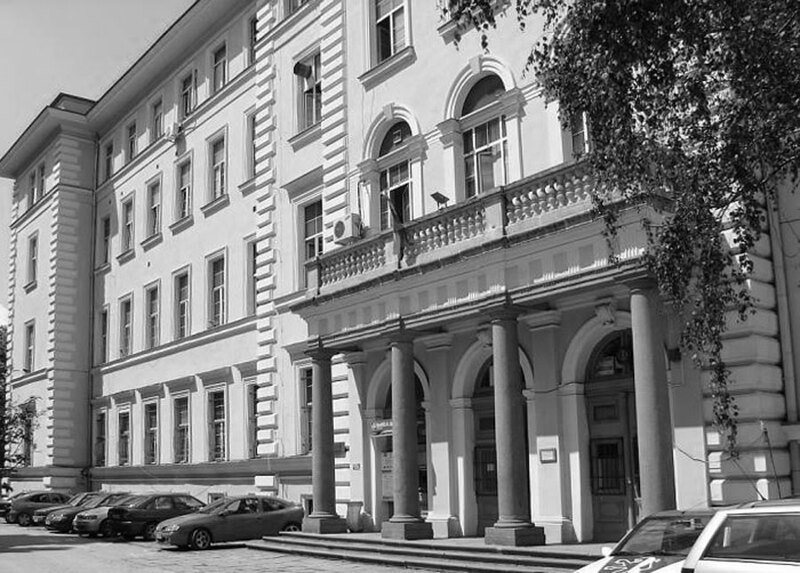 Thus, the Medical Faculty becomes an independent institution of the Sofia University. Professor M.Markov was appointed as its manager. In the same year, the Institute for the Improvement and Specialization of Physicians was established. 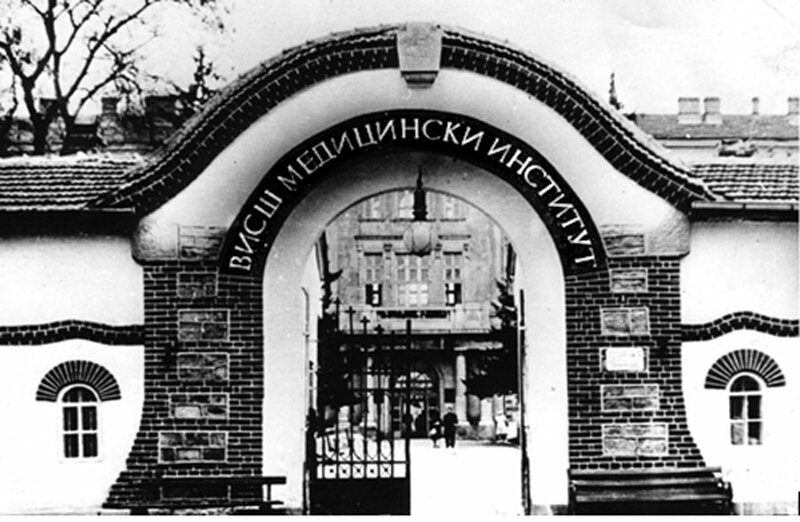 In 1954, the Medical Academy was renamed to the Higher Medical Institute – the largest medical school in Bulgaria. For many years after Bulgaria’s liberation, pharmacists have graduated from leading foreign universities. After 1880, only the pharmacist’s assistants were prepared in the country by a regulation approved by the Supreme Medical Council. Therefore, the creation of the Pharmaceutical Department at the Faculty of Physics and Mathematics of the Sofia University in 1942, at the suggestion of Prof. Alexiev, was the first focal point of the scientific pharmacy in Bulgaria. The transfer of this department in 1951 to the newly established Medical Academy marks the beginning of today’s Faculty of Pharmacy at the Medical University of Sofia with First Dean Prof. Dimitar Dalev. The Faculty of Pharmacy was born as a department of pharmacy at the Faculty of Natural and Mathematical Sciences of Sofia University in 1942. The beginning of the dental profession in Bulgaria was made by Dr. Friedrich Karl Flamich, born in Prague. In 1869, he was the first graduate dentist who got the right to practice in Rousse and later held a colloquium in Sofia under the then public health law. The museum of the Faculty of dental medicine carries his name, where some museum exhibits are preserved. The first Maxillofacial Surgery Clinic was established 77 years ago in the 1940s. Over the years from its establishment to the present day, the Faculty of Dental Medicine has graduated over 10 300 Bulgarian and approximately 900 foreign doctors in dental medicine from 85 countries from Europe, America, Asia and Africa. Since 01 January 2007, under the European Directive 16 for regulated professions, the specialty “Stomatology” has been successfully renamed to “Dental medicine” and “dentist” to “dental practitioner”. The need to integrate public health efforts led to the transformation of the Faculty of Sisterhood into a Faculty of Public Health in 2001. Its implementation was supported by the Stability Pact and in partnership with leading institutions in the European Union and the World Health Organization (WHO). In this way a fourth full-faculty faculty with a European sounding was created in the structure of the Medical University, which complements university teaching in the sphere of humanities and social sciences. Its academic and research activities are conducted by highly qualified academics with experience in the field of health policy and health management. The Medical University joined the SOCRATES/ERAZMUS programme of the European Community in the 1999 year. This is a programme for contacts with universities from abroad with the intention of increasing the percentage of students undertaking a period of study in another European country. ECTS – EUROPEAN CREDIT TRANSFER SYSTEM. ECTS is a decentralized system based on the principle of mutual trust and confidence between the participating educational institutions. It provides a way of measuring and comparing learning achievements of students by using commonly understood measurements, credits and grades and transferring them from one institution to another, and thus widening the choices available to students. This system was introduced at the Medical University – Sofia in the academic year 2000/2001. The Medical University – Sofia is one of the most prominent and huge healthcare, educational and scientific centers of the Bulgarian medical science. The traditions from a long time ago are leading it to the place that it deserves – among the most respected European universities.